Richmond will mark the long-awaited return of spring on Sunday April 8 with one of its newest annual happenings. 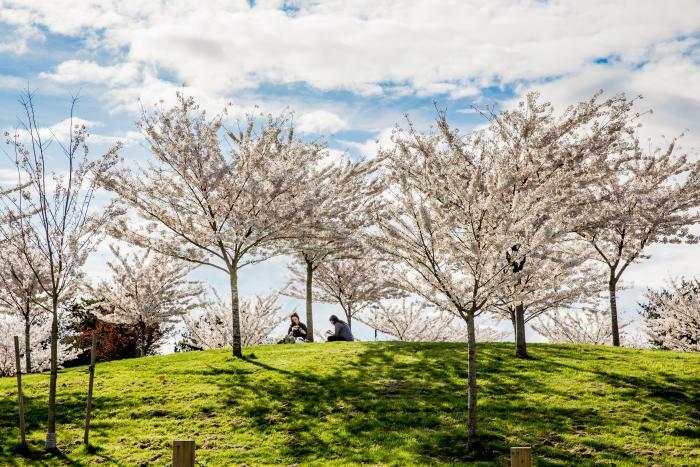 Now in its second year, the city’s pink-hued Cherry Blossom Festival will bring hundreds of locals and visitors to Steveston’s waterfront Garry Point Park for a full day of fun with a traditional Japanese flavour. Known as sakura in Japan, cherry blossoms have been celebrated with Japanese-style festivals throughout the world in recent years. And Richmond’s free-entry version – running from 11am to 4pm on the big day – is crammed with inviting, family-friendly activities. 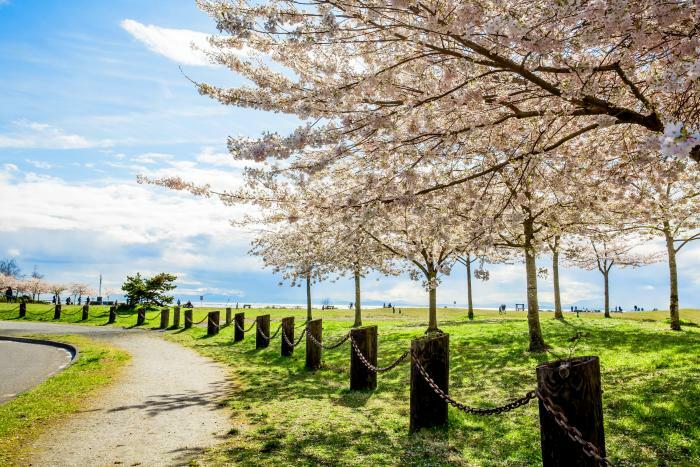 The perfect setting for a sweet cherry blossom party, Garry Point Park is home to more than 250 Akebono cherry trees. Many visitors will focus their cameras on the delightful, flower-draped branches, but they’ll also save time to check out the festival’s origami and calligraphy demonstrations as well as its fascinating bonsai tree exhibits. Looking for a special selfie? You can even try on a silky kimono while you’re here. The alfresco festival site will also have two tented live stages – check the schedule as soon as you arrive to see what’s on and when. The line-up includes toe-tapping Taiko drumming, authentic Japanese dancing and a host of additional live performers. And don’t worry if the weather veers towards the chilly side of spring: each tent is heated. Sharing festive food and drinks with friends and family is a big focus of Japan’s sakura celebrations. At Richmond’s petal-studded outdoor party, visitors can feast on authentic bento boxes and sip on delicious green tea. There’s also the opportunity to participate in a traditional tea ceremony. In addition, a full menu of food trucks will serve-up Japanese-inspired dishes – perfect for a tasty picnic among the trees. Sakura is the name Japanese people give to cherry blossoms but hanami is the process of watching and admiring the blossoms themselves. In Japan, huge cherry blossom festivals take place throughout the country and are one of the nation’s most beloved events, signifying the arrival of spring, the circle of life and the annual time of renewal. Don’t worry too much if you miss this year’s Richmond Cherry Blossom Festival. 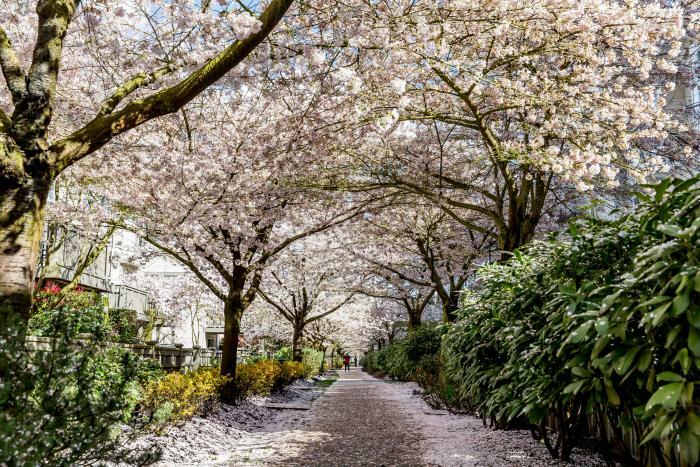 Aside from Garry Point Park, the city is home to many other photo-worthy blossom hotspots. There are around 30 trees along No 1 Road, running north from the Westminster Highway intersection; 10 or so around the intersection of Gilbert Road and Elmbridge Way; and lots of additional smaller clutches throughout the city – ideal for a fun day of blossom hunting and seasonal photo-snapping. And if you shoot some images that you’re really happy with, don’t forget to share them with everyone on social media, using our popular #RichmondMoments hashtag.